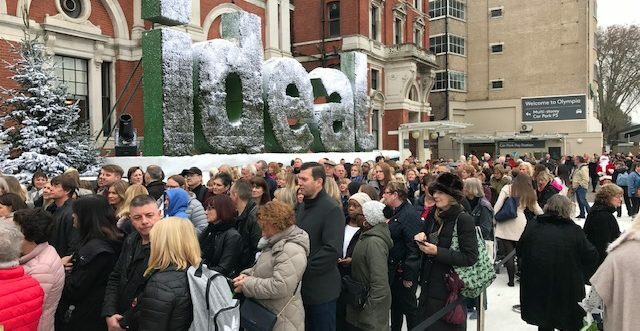 Ideal Home Show Christmas once again kick started the Festive season for its thousands of Visitors. London’s Olympia found itself transformed into a Winter Wonderland with Santa’s Slay, Carols and the odd Reindeer making an appearance. 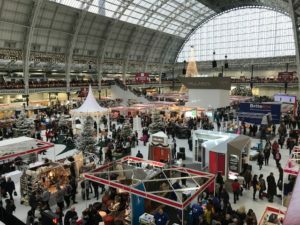 The event offered a variety of things to see and do with hundreds of exhibitors offering a range of Christmas gifts, decorations, inspiration and interior design. The popular ‘Eat & Drink’ Festival returned once more, offering Artisan markets, the drinks station and Christmas kitchen. Gainsborough Events Management Ltd enjoyed the challenges that come with such a popular and busy event, with 2018 seeing some of the largest crowds in our history of the event. All staff guaranteed a friendly and professional welcome into the Venue, with front of house staff operating from two show entrances. Crowd management was as always delivered with in an expert and organised fashion and our static and patrol officers provided assistance, information and aided in the safe delivery of the event. Gainsborough welcome Ideal Home Show Christmas as the official start of the Christmas Period and are, as always proud to be considered part of the Team.